August’s 20 coolest baby names are in, and DANG! You guys just keep us on our toes with your wild, wonderful names! O, baby! We are super digging these cutie pie names that all end in “oh” – Wilfredo, Tito and Omaro. Z is back with possibly the two zee-est Z names we’ve come across yet: Zeth and ZOWIE! Whaaaa?! We love it! We have seriously never seen or heard half of these names, including: Aceyn, Wilfredo, Omaro, Eabha (Gaelic for Eva), Zeth, Chami, Meela, Callan, Arley or Zowie – so props to you P’Baby parents for upping the name game with these cool, creative choices. Don’t miss out on the world’s coolest personalized baby gifts and personalized kids gifts for all those extra special crazy P’Babies you know! July didn’t let us down as far as cool, crazy names go. 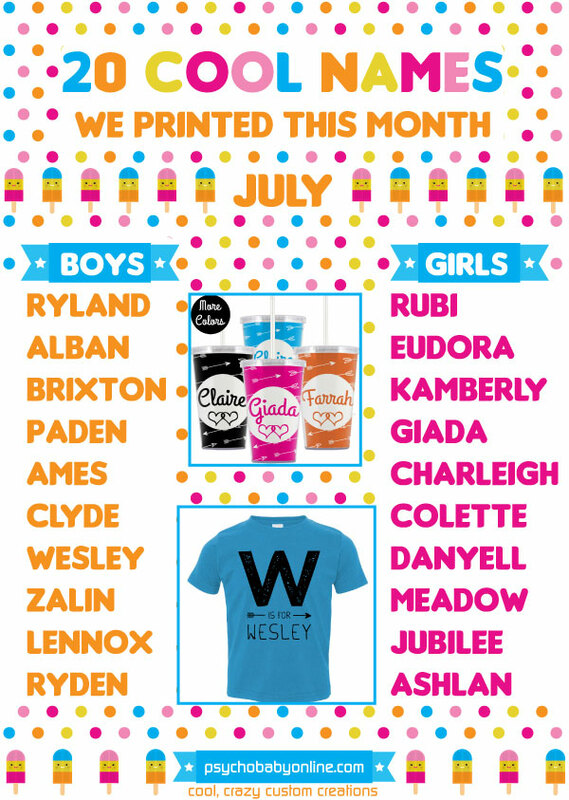 We didn’t see as many Z’s as in previous months, but were pleasantly surprised by this summery batch of totally unique P’Baby names! Twists on traditional spelling: we’re looking at you, Danyell, Charleigh and Rubi! New names we have just flat out NEVER heard before. You new parents are upping the game with Paden, Alban, and Zalin. Right on, creative mamas & pops! A lil’ old fashioned vibe creeping in next to these brand new, super modern names: shout out to Eudora, Clyde, Colette and Wesley! What do you think? Do you have a fave from this list? 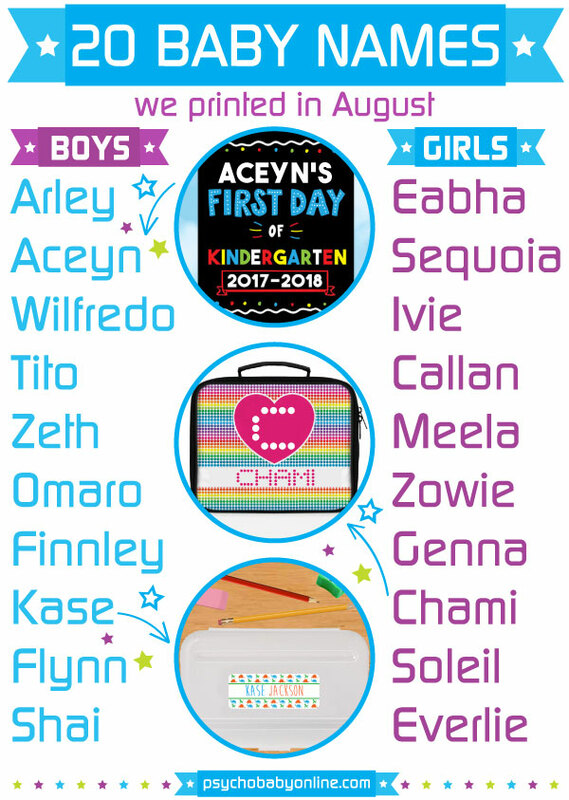 As always, check out our personalized baby gifts and personalized kids gifts for all those uniquely named kiddos in your life!